Raw Replenish is a raw juice and smoothie bar located in Pennsburg, PA. Having been referred to us in 2018, the client was ready to kick off her 2019 with a logo and label redesign. We promptly tackled this with joy, developing an identity that gave Raw Replenish the visual boost it needed. Our new identity, featuring an abstract fruit/veggie symbol for the "A" in RAW", is playful, bright, clean, and versatile — all of which perfectly describe the client and her product line! From there, we redesigned the Raw Replenish 6-juice-cleanse line, prominently featuring the new logo in white. The “A” symbol changes color with each SKU for additional flavor differentiation on shelf. This detail creates a fun branding system on the front labels as well as the lid caps, highlighting each symbol and juice number with bold distinction. 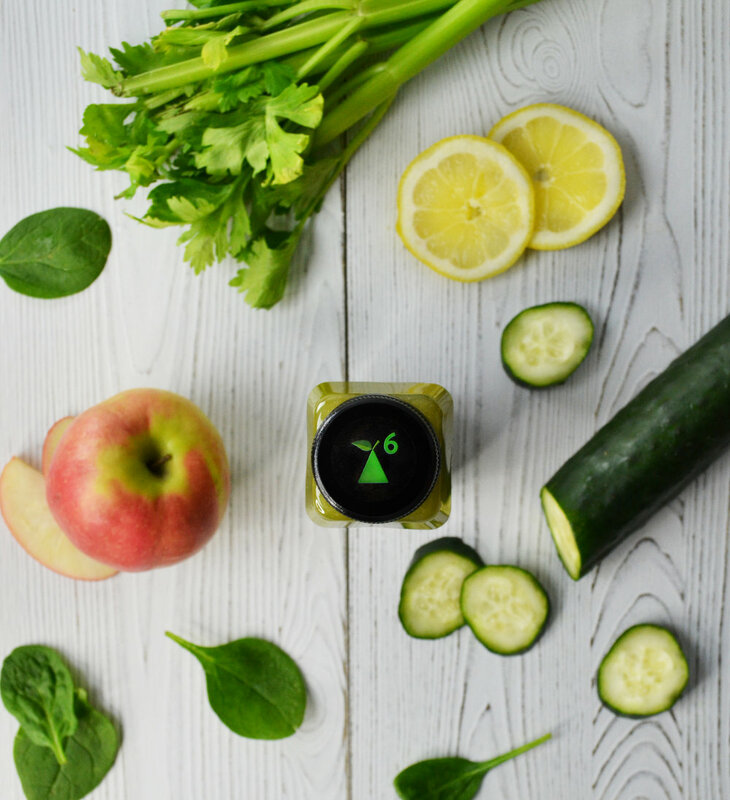 By labeling the caps numerically by hand, this allows Raw Replenish the flexibility of selling the cleanse as a set of six, while also being able to sell each bottle as a stand-alone item — thus electing to leave off the numbered label.